The arrogant candidate says “I’m smart so I know my code is good”. That’s certainly a bad sign, although sometimes they’re right. Slightly wiser responses are “I run it and look closely” or “I trace the code and make sure it works like I expect”. Better, but too manual. The truly enlightened say “I have an automated test suite” and then you’re off to the real questions about how to test code properly. I have a deep distrust of code. Software is organic, unpredictable, chaotically complex. It’s difficult enough to understand what the code you write now is likely to do right now with expected inputs. But hostile inputs, or a weird environment, or the same code a year from now, or the slightly modified open source contribution in some fork somewhere? Forget it. That’s why automated tests are so valuable. It’s a way to demonstrate the code is doing what you expect it to. Writing good tests is hard, almost as hard as writing good code. Modern environments have a lot of testing tools you should learn. From language unit test frameworks to mock objects for servers to fuzz testing to various continuous integration systems for functional tests. GitHub projects have the miracle which is Travis CI, free no-fuss continuous build and test for any open source project. It’s amazing. So until software correctness proofs become a real tool we can use in real production code, ask yourself how you know your code is going to work. If you’re honest, you probably don’t. But some testing will certainly help give you at least a little confidence. The billing credentials are separate from your “Internet Account Manager” credentials. Username and password will both be forced to lowercase. The password recovery system will mail you your password in plaintext. Parts of the online system ask for a registration password. That password is “astound”. Astound is a good ISP. I started getting Internet from them a few months ago, upgrading from a $50 6Mbps DSL link to a $70 100Mbps cable link. And it’s like I can see through time. The difference in usability is astonishing. Equally importantly, Astound has been entirely reliable and trouble-free. The key thing is Astound is not Comcast. Comcast is an evil company with a long history of breaking TCP/IP in various ways that harm customers. Astound just provides pure, sweet, clean bits. Installation requires they bring their own coaxial from the pole to your house. They also offer phone and TV packages. The customer experience is a bit squirrely, I wouldn’t count on them for email hosting or tech support. But the basic Internet service is terrific. I’d previously been a very happy Sonic DSL customer. They are also a terrific independent ISP with fantastic service. Unfortunately DSL is limited by the technology, the best they could deliver to my house is 12Mbps and that would have been significantly more expensive than Astound. Sonic is now working on fiber-to-the-house, including San Francisco, which should be terrific if they can do it. We’re very lucky in SF to have a competitive ISP market. We have two DSL providers, two cable providers, and a surprisingly robust fixed wireless provider in MonkeyBrains. Most of the urban US only has two options and large parts of the rural US don’t even have that. The Sonic CEO’s 2011 blog post about broadband duopoly is fantastic background for how we got to have such crummy service in the US. Ancestry.com is a good web site. 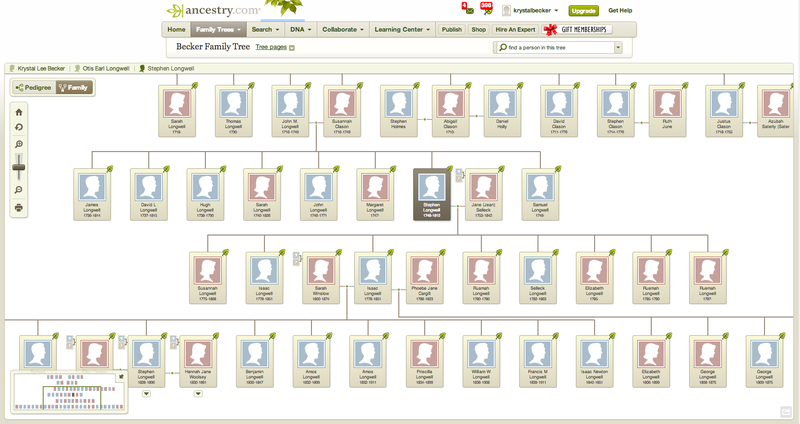 It’s a tool for researching and maintaining family history, genealogy. It’s also a remarkably sophisticated database, data repository, and user interface with a lot of lessons for people who design webapps. I’m particularly fascinated that their target market is older people, your grandma who’s not so good with computers but has gotten interested in family history. But in no way is Ancestry dumbed down. The web UI is great. The primary view is a visual family tree, a refocusable graph view that’s not much like a web page but works great in the browser. You then click through on a name to get to a person’s profile page that’s more like a normal document view. From there you do extra research, add information, etc. The facts and sources tab on a person’s profile is my favorite part of Ancestry. They don’t just track a fact like “Born on 29 May 1917”, they also track the source of that fact, like “birth certificate” or “census record”. With a link right to a scan of the source document with the relevant information highlighted. Most people’s genealogy is full of bad data. (No, you’re probably not related to that 16th century king.) Ancestry provides a model for establishing the veracity of the data you record. Crowdsourced databases like OpenStreetMap and Wikipedia would benefit from more explicit attribution. Ancestry is particularly useful because they have a fantastic collection of American genealogical records. The census records are the ones I use most frequently. 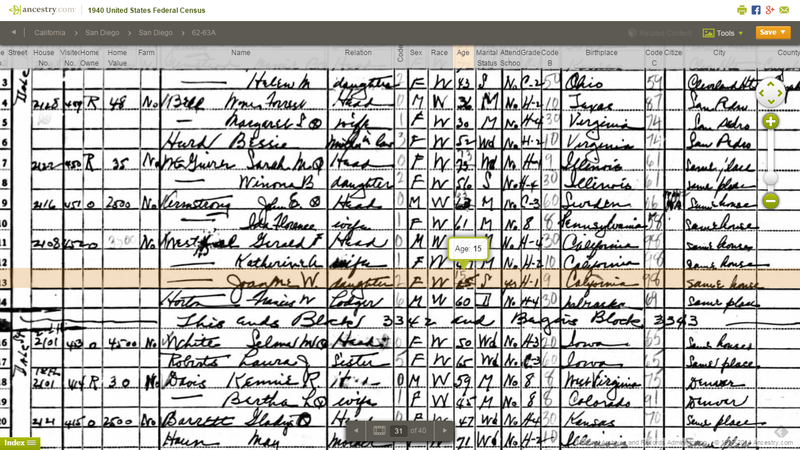 Meticulously transcribed images of 100+ year old handwritten pages, completely searchable on fields like name, address, age, etc. 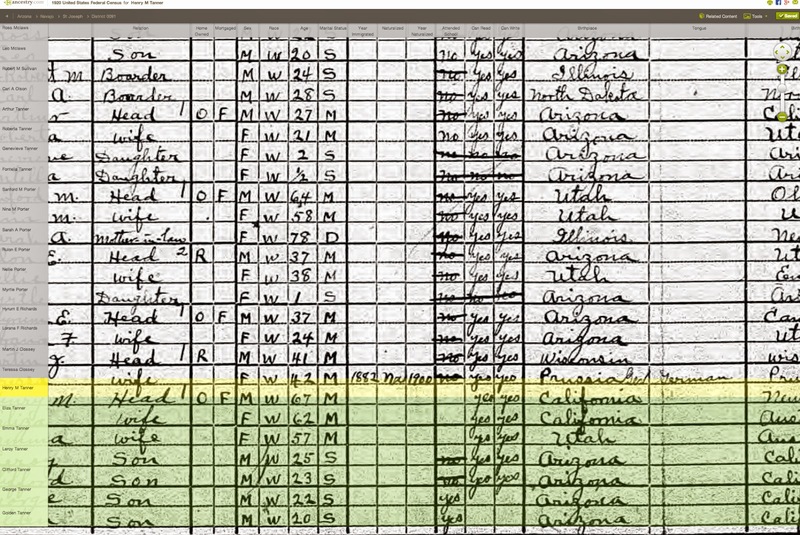 They’ve collected all sorts of other data too: immigration records, social registers, railroad payrolls.. All this diverse hand written data, presented in a uniform computer search interface. They even proactively find hints for your family members for you to review and add to your data. The app has some problems. Most of their data collections are only useful for researching Americans. Grassroots genealogists complain about Ancestry being too commercial and proprietary (see GEDCOM). Some people snark about the site being so grounded in Mormonism, although that criticism seems unfair to me. I’ve enjoyed doing a bit of family research in Ancestry. Mostly I’m impressed with the usability of the web app given how complex the data is.